This guide caters to the gamers who are new to Steam. In order to obtain the Dota 2 beta key invites from Valve, you need to answer a couple of surveys regarding your current hardware and Dota genre experience. 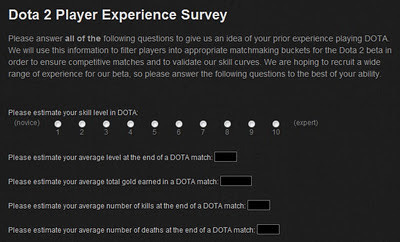 Steps on taking the Dota 2 beta survey. Download Steam and create a Steam account. 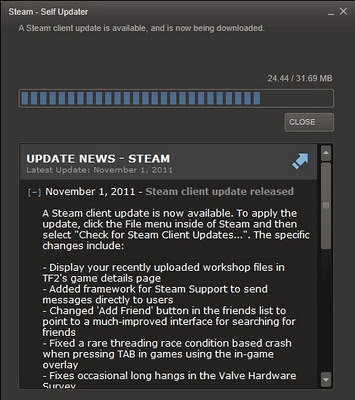 Restart Steam after the download finishes. Once your Steam has been updated, click on this: Dota 2 Survey. 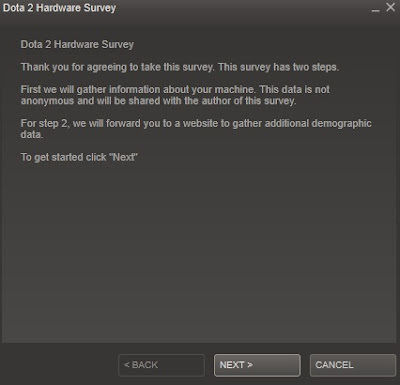 *If the link above does not work, go to the Dota 2 Blog post and click Dota 2 survey. Click Next on everything that pops up. Answer the Dota 2 Experience Survey honestly. Wait for your brand new Dota 2 beta keys. do u get into beta automatically or are u still chosen? how long will i w8 so that i can play dota 2? Mine says that firefox can't open through steam or something like that. Plz help. when will the beta keys be given? Need to upgrade my PC ASAP!!! Hopefully they will provide a Beta Key for those who wants to Play Dota 2. Always use Opera(somewhat unknown) if you have a pc since it is made to synergise with every comp program there is. where does the dota 2 beta key will be given in the email add? when can i get the beta key? I was able to do the hardware survey but when it tries to open the survey it doesn't work. When will the beta keys be given? Please tell me!! I didn't answer one question, the top 5 heros i play because i thought it was the top 5 heros commonly played in general so i didnt answer it, will i still get the beta key? How many more months to get a beta key? did u get it nw?? how they contact you to give beta keys?!?!?! via mail or on steam client?!!? beta keys will be given on email .. i think .. I've been waiting for weeks will i actually get 1 ? how long did i take? If for example you got your beta key, how can you play dota 2? btw, I already installed steam and answered the survey. just complete that steam survey, and wait some months .__. i submitted the survey in september, and got the keys in mid december . may i have your extra key? and what happens after u receive the beta key, how will i get to play dota 2 beta? can i ask you something?Will it be for free? Yes it will be free to play. 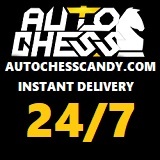 How long does it take to get DOTA 2 beta key? I already done this survey in November 2011.. Done this 4 months ago.. still no key, i think valve should speed up giving the keys..
No, they are still giving them away. I filled out the survey on December 29th and got the keys yesterday, people just need to be patient. When I Click .. 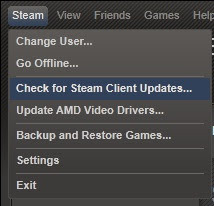 Check for Steam Client Updates..
Where does those keys go? Stright to your e-mail or trough steam mail system? where would the beta keys be sent?? email or steam account?? so how long will it take befor i can play just curious if any body noes like a week or like a month? LOL I need to play! Obviously some sort of problem they have lately, since I got it aswell.. and doesnt seem like anyone else has it - that made the survey earlier. cannot get to step two no matter what. Ive tried it with internet explorer, firefox, and chrome. any other options? damn just missed out, if I knew this existed last month I would have been playing it already, seems like it worked then. I have just finished the survey but I am not sure why you guys cant do it. Anyone has spare dota key? new answers to the survey. I answered no experience with DOTA but experience with other games like it. In the meantime I will be playing LoL. Why don't you join me? i like this game, like, like like! may i get a key please? please. Thank you very much, how do you know when you've gotten the keys, is it an email, an update in Steam, or something else? You get an email and u get an install button in steam. I GOT A KEY BUT I DON'T HAVE THE GAME. ANYONE CAN HELP ME DOWNLOAD IT? Hi I have now completed the survey. Will I get an invitation? Does everyone who fill survey gets invitation ? So, let me get this straight; in order to join the Beta I have to fill out a hardware survey (easy enough) and then a survey to say how my experiences in Dota 2 were. Something I can't do, honestly, until I can play it and I can't play it until I answer the question honesty, and so on and so forth. Am I missing a Game Download button somewhere? How am I supposed to know how good I will be at the game in a survey when I can't play the game until I complete the survey. It is late and I am whacked out on Ambien right before bed but my girlfriend likes the game and I would like a shot at playing too. Any explanation that doesn't involve me going through millions of pages of back stuff and changelogs would be welcome. i already fill out that survey and how many days i will wait for that dota 2 ? Can anybody tell me how long it's gonna take to get a key if you signe up now? when i can receive my beta key? cannot get to step two no matter what. Ive tried it with chrome. any other options? i already fill up mine..
kelan ko kaya makukuha ung beta key?? I am Keneth Asuncion living in marikina city philippines. My beta key arrived 4 months after I answered the survey. But my friends took the survey by March and got their 2 weeks. And when valve released beta keys, they release per batch. it appear in the steam account or only in the email? Just answer the Survey and you will get it . . . I got one from this survey just wait patiently if they pick your steam account. Is there a calendar date limit for which you can do the survey? Because i tried to do it, but after the hardware survey it just closes, i don't get the next questions; only clicked next,next, after that the steam simply closes.Can someone answer? thanks. Not accepting the noobs? What we were all noobs at one point. It's called trial and error noob=Pro in time. So it's just wrong to hating on the noobs! i did the survey like 5 month ago and nothing is there another way to get one? I have waiting for almost a month but still cant get it.... How long I have to wait more? This really works, I got my INVITE somewhere around mid-August. I only waited a week :) You first need to have a steam account since D2 is only playable through steam. And by the way, a little trick should i say? :D -> when you fill the survey, do it like you are the best player... You'll get the key guaranteed! ^^ Good Luck!! I think at this point folks you're just going to have to buy the $29.99 invite or wait for release later this year. I can't imagine so close to release they'll accept any more beta players. Is this the real dota? do i need a beta key now since i have it in my account? and if i download and install would it be dota spectator mode only or would i be able to play? P.S: I added my brother in steam and started dota2 download on his account then paused, logged in my account and found it there. Good Luck Getting A Key ! Help! I can't finish part 2. I says to complete the survey press finish and continue on to part 2. But then it takes me to the Dota 2 website.